Rockfall visible from Bunny Flat. 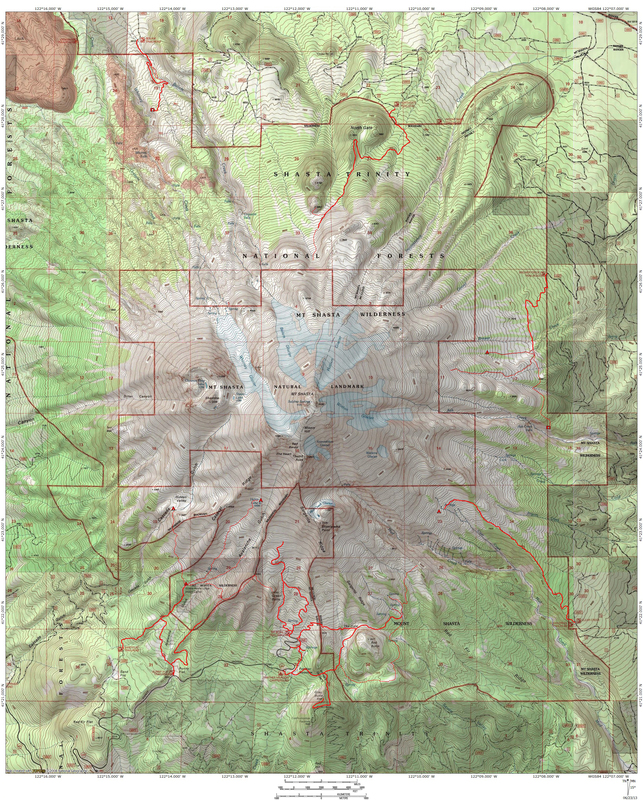 The landscape, which often seems so static from a human perspective, is constantly evolving. This was put in evidence recently by the changing of the Sacramento River’s course at the inlet to Lake Siskiyou (read about it here and here). Nature’s power to alter its appearance is not something that is limited to rivers. 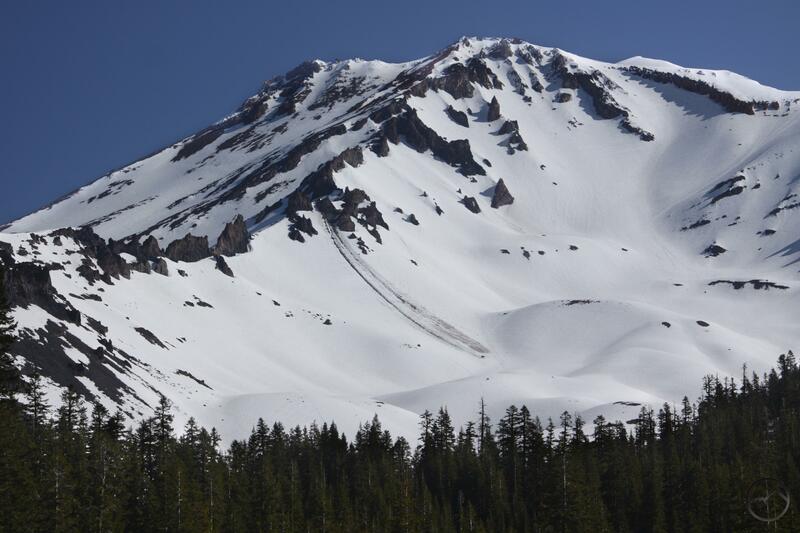 Mount Shasta also experiences this process and exhibits the raw power of the natural world. On April 30th, a massive rock broke off of one of the many large outcroppings on Casaval Ridge and tumbled into Avalanche Gulch. The enormous rock presumably gave way after being split off from the main block of rock after countless freezing and thawing cycles. After breaking away from Casaval Ridge, it cut a deep trough through the loose scree and snow below, eventually coming to rest close to the climbers trail just below Helen Lake. The impact of the rock was so powerful it registered on seismographs. Needless to say, the climb up Avalanche Gulch now has a new landmark. 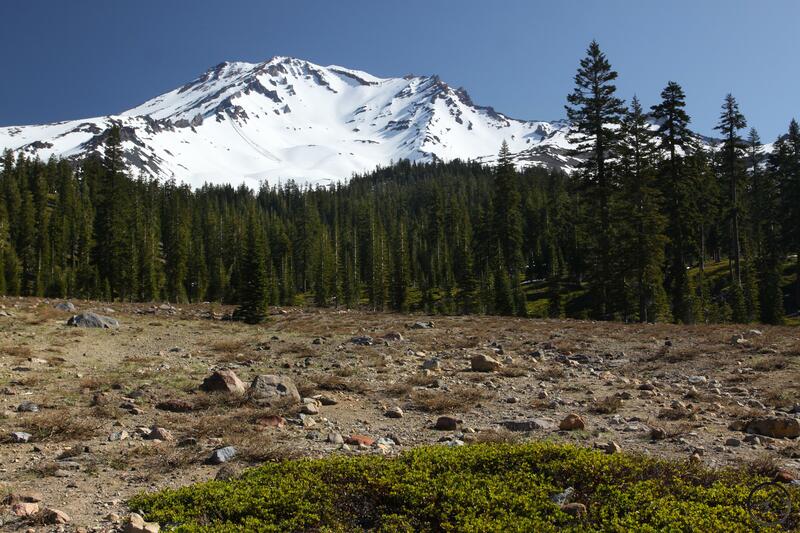 The rock and its trail down the mountain are plainly visible to the naked eye from down in Mount Shasta. It is worth the drive up to Bunny Flat to get an even better perspective on the incredible scene. The rockfall is a powerful reminder of the energy and danger that is part of the warp and woof of a landmark like Mount Shasta, as well as how awe-inspiring and beautiful it can be. Like the changes wrought by the Sacramento River, observing how easy the landscape can change is humbling. 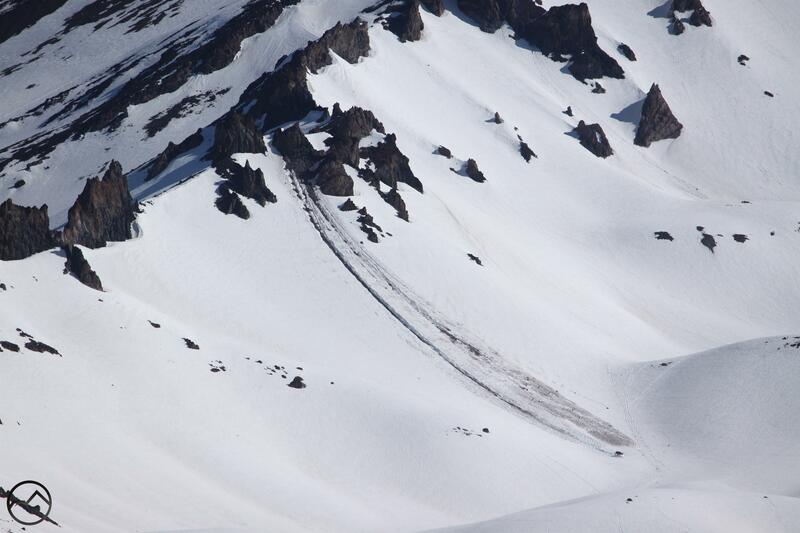 The rockfall’s debris trail cuts an impressive gash into the side of Avalanche Gulch. The huge rock fell about 1,000 feet before coming to rest near the route used by climbers to reach Helen Lake. Click to enlarge this image for lots of detail. Note how the large rock was not the only piece of the ridge to come tumbling down. It also seems to have triggered a modest avalanche, the dirty snow is littered with other, smaller rocks. 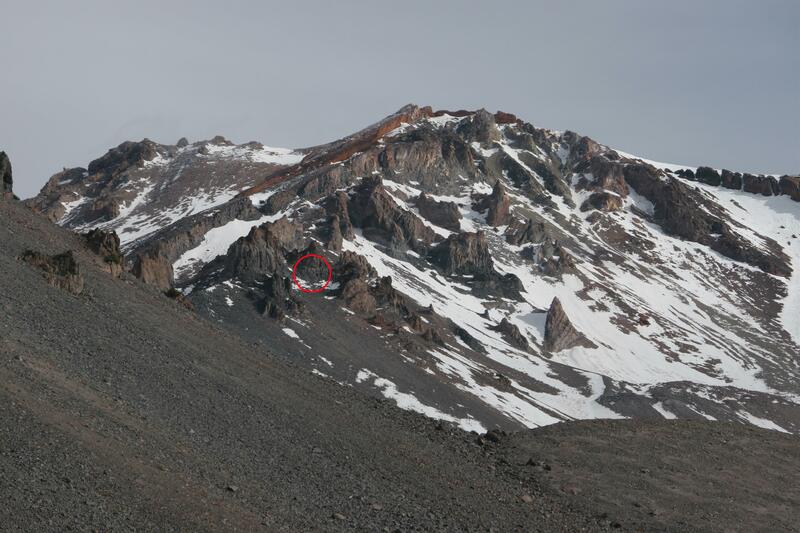 The encircled area is the section of Casaval Ridge that broke away and fell into Avalanche Gulch.